We would like to acknowledge everyone who has donated to our cause. Too often, you donate or make a purchase, receive a receipt and it seems your contribution is forgotten. We want you to know that it's not forgotten. We are revising our website to show you how your money is spent. We're also working to bring you the stories of men who heard our message and how their lives were dramatically affected by it. Your donations have helped us establish this foundation as a force to inform the underserved portions of our community about the importance of all forms of healthcare. Those gifts via United Way, Amazon Smile, Network for Good and through our website don’t just help us survive, they reinvigorate the organizations we support. 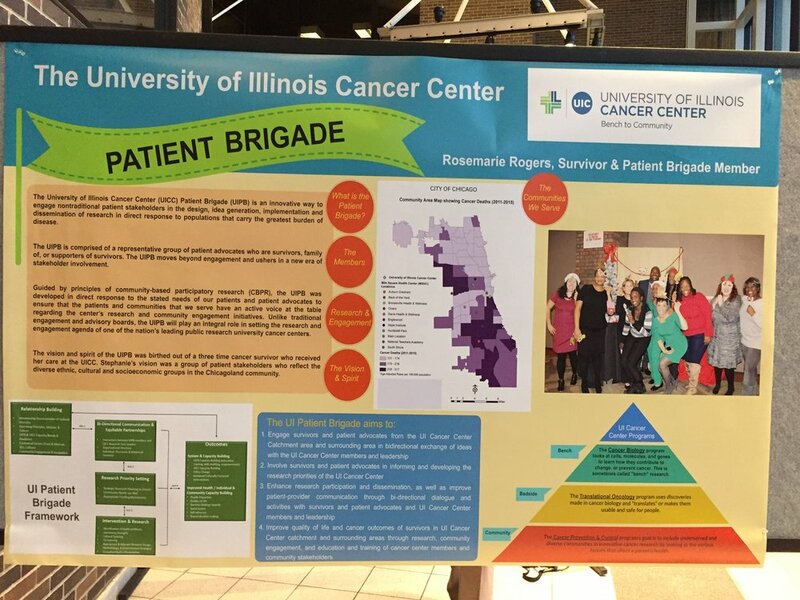 The University of Illinois and Rush University Medical Centers are making great strides in cancer treatment and pushing that research from the laboratory to the communities most in need of that treatment. Your dollars nourish our collaboration which helps them work on the cures and helps us in keeping you informed. Again, thank you for your generosity but remember that our mission has only begun. We have been supported materially by companies that believe in our cause but over 90% of the financial support comes from people just like you. So, don’t stop supporting us and tell others about us. Finally, support us by acting. It is the most important single action you can do. We can bring you the information but only you can put that information into use. Make a doctor’s appointment. Start walking more. Make some changes in your diet. Sit quietly for a few minutes and decompress. In the end, you are the only one who can change or even save your life. That’s a legacy that Tim would take pride in.